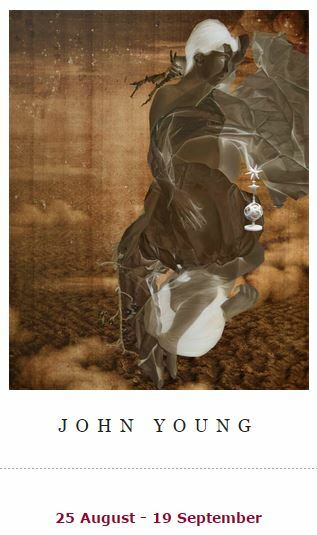 The forthcoming exhibition at Philip Bacon Galleries is by Melbourne based artist John Young. Young’s unusual technique blends oil painting with digital image manipulation, producing striking figures in unreal landscapes. His 2015 exhibition also features a collection of works that appropriate the imagery of revered Australian artist Ian Fairweather. The exhibition is made up of twelve oil paintings. Featured image: John Young, The Ocean Crossing I, 2015.